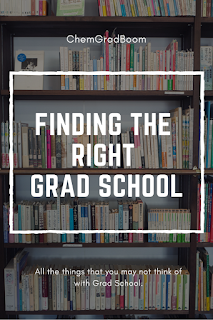 So when I started my search for a Chemistry Graduate Program, I had no idea what to do. Now I am again on the hunt for a graduate program, this time in Art Conservation or Historic Preservation! So this being my second time around I feel drastically more prepared and wish that I would have known all of this stuff the first time. 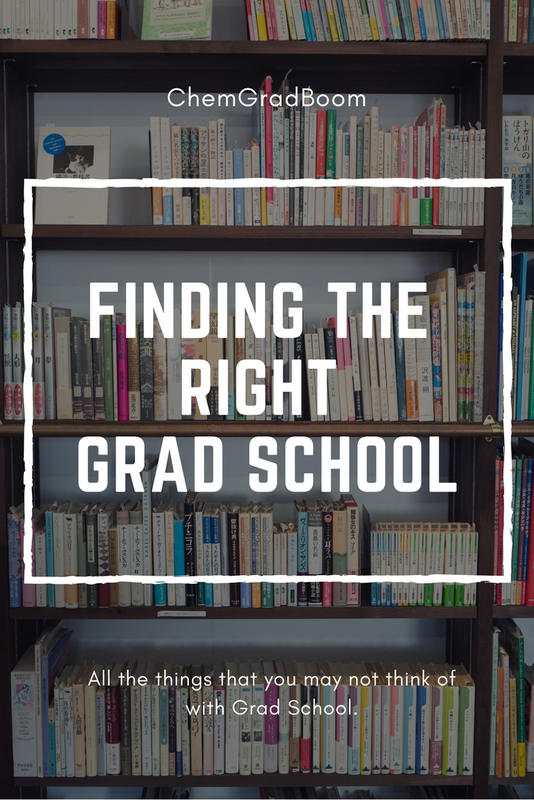 So here is a list of some helpful hints for searching/finding a graduate program! Start early!!! I wish that I would have done this the first time, because before you can believe it's deadline season! This means that you need to finish up all your personal statements, online applications, CV/Resume, somehow get you, professors, to submit your recommendation letters, and submit your GRE scores and transcripts. This all takes tons of time and effort, so the earlier you start, the better. When you think you have found a program that interest you ( hopefully over the summer or early fall) email the advisor and/ or professor in the area that interests you. Why do this? Well, I have had a few occasions where I think a program sounds fantastic and that it would fit what I want to do, but then I never heard back from them after my email to them about the program. Now, this may be harsh, but I know now that any program that doesn't have time to email me back is a program that I wouldn't apply to. My reasoning for this is that I want to go to a program that will care/help/ give advice to me along the way and if they don't have time to email a prospective student back then how will it be if I go there. If you have a chance go to a conference during the Fall (right before applications are due), make sure and go to it. For me, this was the Regional ACS in Richmond, VA (Oct 2011). During the conference, they had a graduate fair there with tons of schools with information, students, and professors that were more than willing to answer your questions about their program. When you are done talking to them (if the program sounds promising) make sure to get a business card with the professor's email address, then make sure to email them within a few days of the conference ending. This will get your name remembered by one of the professors at the school there and could possibly improve how your application looks when applying to that school. Why is this? You were at a conference (always good because this means you probably had a poster presentation or a talk), you are now a person and not just an application, and lastly, you showed that you were interested in the program! My final suggestion is before sending out your applications and spending all of your money, try and visit the school if you live close by. I plan on doing this over my Fall break and venturing 4ish hours to visit a school that I am interested in. This to me is always the best way to really get a feel if you would like it there and is also a way to talk with students about how it is in the program. For me, this is also a time to talk to professors about my interests ( I want to stay in the lab doing research) and a way for professors to see if you would fit in the program. This is a great final step to do if you think that you have found a program and are planning on applying! Now with all this advice, start your search now for your program and have good luck with applications!! !